I was more of a Champions fan at that time, but glad to see all has worked out. I'm psyched for the release of new V&V product from Jeff and Jack (and friends), but I am bewildered by the apparent "Trademark" decision. Either way, I hope this leads to V&V 3rd Edition coming out soon! I've got to wonder if Bizar got the trademark, but has to license it for some nominal amount to Monkey House Games? 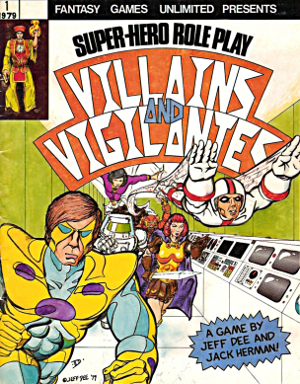 Played both Champions and V&V back in the day. 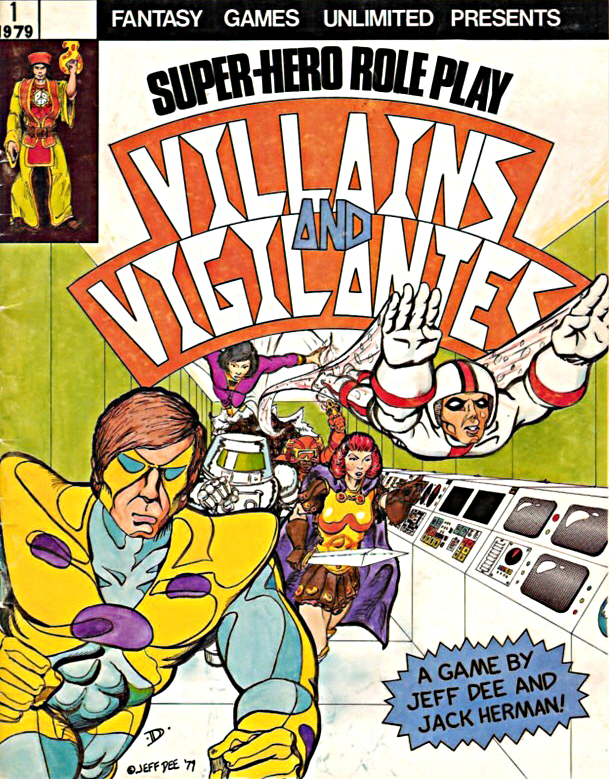 V&V was a much better fit playwise for the pulp action hero games we were running at the time. But both were a great time. Gland than this has worked out to the benefit of the creators. We need more positive endings like this in the art and gaming industry. My site ate the names of people who commented on this. Sorry about that. I've fixed the bug. I was in an RPG session with Jeff Dee running the game a few years ago, at OwlCon. He used a version of V&V that was updated, smoothed out some of the rough edges. It was the best con game I can remember. It's a shame such an absurd case took so long to prosecute. Very glad to hear that the legal battle appears to be finally over! As a long-time player of V&V, I'm very much looking forward to the 3rd Edition as well! "Win" Settlement? Settlements aren't won, are they? Winning a settlement sounds like winning a tie game. I'd call it a win when you no longer have to pay an attorney $2,500 a month and you can publish the RPG you created and have wanted to publish for decades. Why not then "FGU Wins Settlement ..." (no more attorney fees and own trademark) or "MHG and FGU Win Settlement ..."? I congratulate Jeff and Jack on their success, and wish them well on their future efforts. Guy: I wrote a story that reflects my knowledge of the lawsuit after reading every court filing for over four years. Jeff Dee and Jack Herman won the right to publish their game, which is something they sought for decades. That was always the most important aspect of this case, and the reason I began following it. If you have another take, great. Wil, if you want to check out Jeff's work on things you might enjoy playing more, check out his other RPGs Bethorm (set in Tekumel), Pocket Universe, and Cavemaster. I'm glad that Jeff and Jack can move forward with their ideas and creations. FGU still owns the trademark; you should probably be clear about that since so many of the readers here seem confused. Phone Number for Quickbooks Payroll Error Support +1-833-441-8848 is your one-stop destination to get instant fix of technical issues that arises while using QuickBooks software.